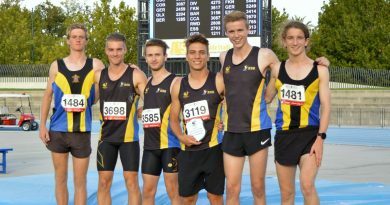 Athletics Victoria competitions are run largely by volunteers. An army of officials sets up and runs both track and field competitions in summer at a variety of venues; as well as complex cross-country courses and road racing events in winter. These officials ensure a safe and enjoyable environment for the benefit of all Club members. This is why clubs occasionally provide a number of volunteers for athletics events. Volunteers may find themselves raking the sand in a long jump pit, providing directions on a cross country course, handing out place tokens to sprinters, or timing relay races. Whatever the task, you are assured of an enjoyable experience getting close to the action and seeing some of Victoria’s best athletes go through their paces. Volunteers can be athletes who have already completed their race or their family members. More about officiating and volunteering here.